I love point programs. Before I had a blog, I earned 600 dollars with point programs in one year, that is $50 a month with very few referral credits, plus I enjoyed a great selection of free magazines and various other products. I also didn’t spend a lot of time on different sites. Instead, I did the simple point earning opportunities at every site only and watched the points add up. I might have only earned $10 to $100 per site over the course of the year but when you added up what I earned from every company combined it equaled $600 or $50 a month, which was a great blessing to our one income budget. Since I started my blog, several point programs and survey companies have come onto the scene, and I now think it is possible to earn double what I was earning. Even today with a blog, I am always on the look out for new point programs that I can add to my point income stream. To me, a program has to be simple and not time-consuming. The payouts have to be for things that will help my family, like gift cards, PayPal cash or a few mom sanity treats like magazines and coffee that might not fit into our budget otherwise. 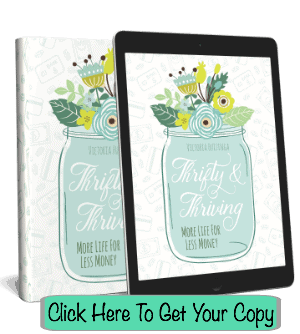 When I find a new source, I love sharing them with my readers so that you too can add to your families income through point reward programs or use them to fuel a personal passion of yours that just doesn’t quite fit in your families current budget. 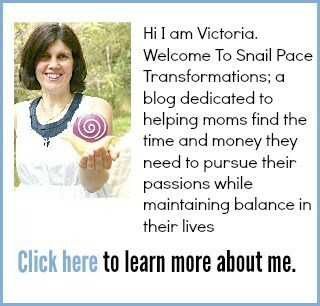 If you know of a great program, I need to try out email me at snailpacetransformations at gmail dot com. There are lots of options to choose from, and the list will continue to grow as I add more. I suggest pinning this list so that you can refer back to it from time to time and see if I have added new ones or if you want to sign up for more than you did the first time you read the list. For Amazon gift card lovers here is a list of the six fastest reward programs for earning Amazon gift cards. For Paypal cash gift card lovers here is a list of 12 websites and apps where you can cash in for Paypal cash. Love Starbucks? Here is a list of 8 places where you can earn Starbucks gift cards- plus how to make them go further. 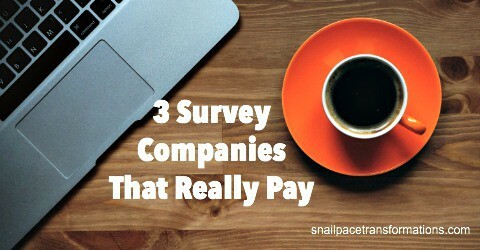 These survey sites listed below have several payment options, a few different ways to earn points beyond surveys and low cash out thresholds. A survey site that is exclusively surveys but that offers a great variety of surveys, low cashout thresholds and fast delivery of those cashouts is Survey Junkie. Simply upload a receipt by taking a picture of it with your smartphone or tablet and watch your points and spins add up. 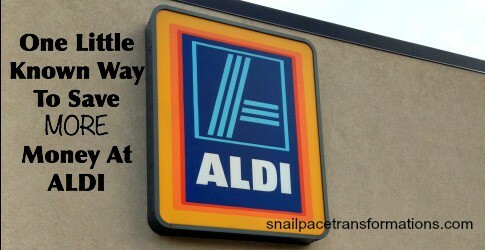 There are lots of stores that qualify including Aldi. Read my full tutorial on Receipt Hog here. The Ibotta app gives you rebates when you complete various tasks for a product in the app and then take a picture of the receipt of purchase for the product you chose at the store you chose and upload it to the app. You can start your account off with a $2 bonus when you sign up for Ibotta through the links here, then download the app and complete a rebate within ten days. Ibotta pays out at the $5 threshold with Paypal cards or a small selection of gift cards at either $5 or $10 payout values. Here is my step by step guide on how to use Ibotta. Shopkick is the app that pays you to browse. You don’t have to purchase anything to earn gift cards through the Shopkick app. You simply sign in when you enter select stores and earn kicks just for entering in the store and/or by scanning select products while you shop. Checkout 51 isn’t a point earning program but instead a rebate program. You upload your grocery receipts in the app to receive rebates on certain items that are offered with rebates that week. Once your rebate total reaches $20, you can ask for a check to be sent in the mail to you. See my tutorial on Checkout 51 for complete details. If you shop for Organic, gluten free or NON-GMO foods, then you are going to want to sign up for BerryCart. It works like a rebate program giving you money back for certain natural food purchases when you upload your receipt. Online rebate programs work by giving you links to certain stores that when you use them, you will receive a certain percentage of the sale back in the form of cashback. My suggestion is to sign up for a few different programs and be sure to check out the offerings from site to site before you shop as the discounts can vary. Ebates contains thousands of coupon, promo codes, and discounts. Ebates offers payouts four times a year, your account must have a total of $5.01 to qualify for a payout excluding bonus rewards (such as friend referrals). You can get your payment by check or by PayPal. 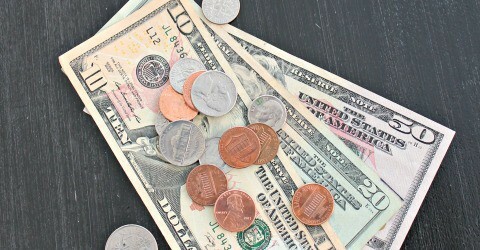 Top Cashback offers higher cashback rates than most rebate companies. There is no minimum payment threshold with Top Cashback. Payment is made through either direct deposit or Paypal, or you can get an ext 2.5% when you choose an Amazon gift card code for your form of payment. Their list contains over 3,200 online stores. MrRebates has a website, app and Chrome extension button making earning a cashback simple. You can request a cash back once your account hits $10. They offer cash back at thousands of stores. 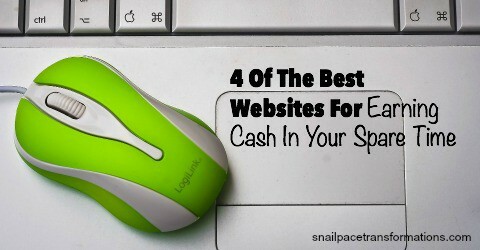 Here is my top 4 list of websites for earning cash in your spare time. Prize Rebel offers a good mix of ways to earn gift cards and delivers those gift cards to your email inbox in around 24 hours. Their cash out level is low meaning you don’t have to wait around forever to cash out, and they have a huge selection of gift cards to choose from. They also offer Paypal as a cash out option. Here is my tutorial on the 9 ways to earn gift cards with Prize Rebel. You can earn Inbox Dollars through a variety of different ways including, paid to click through emails, surveys, watching videos, shopping online, games and more. My two favorite non time consuming ways to earn points at InboxDollars is by clicking through their emails and once a week taking a bit of time to let their paid video selection play as I am doing other mindless activities. You have to earn at least $30 or a payout which you can receive either as a traditional check or as an InboxDollars visa cash card. Visit my tutorial 10 Ways To Earn Cash With InboxDollars for more info on how InboxDollars works. Swagbucks pays you random points to search through their site. The best way to earn Swagbucks is to download their toolbar or make the site your home page so that you remember to enter all your searches through them. $5 gift cards start at 450 points for an Amazon card, and you can easily earn at least one a month by doing nothing but entering all your searches through their site. Earn a few more by doing just a few additional point earning activities that will cost you just minutes a day. ***please note that Swagbucks, as well as many other companies on this list, are continually changing point values as well as options to earn points, so these point earning guides of mine do become somewhat outdated BUT they do give you a good idea of how to earn maximum points in minimum time. Get points by shopping on line through Mypoints. You don’t have to shop though; you can also earn points by clicking the emails they send you, answering survey’s, printing coupons, downloading their search bar and much more. How much you earn depends on how many things you do. $10 gift cards to various restaurants and stores start at 1600 points. Here is the tutorial I wrote on the 7 different ways to earn with MyPoints. This program pays you to learn about environmental actions you can perform in your everyday life. What you earn depends on what actions you can take part in. Payment is in the form of either high-value coupons and discounts, to free magazines, and if you a high-income earner even gift cards. Recycle Bank is where I get a lot of my free magazines. I recently joined instaGC and love the fact that they offer instant gift card codes. That is right, no waiting for your gift card. I also like that you can cash out at just 100 points for a $1 gift card code, and reaching 100 points isn’t that hard. I use many of these brand reward programs to collect free photo book codes. Kellogg’s Family Rewards is a brand loyalty program that gives you points when you purchase Kellogg’s products and upload the receipt to the website. You can also register your store loyalty cards and then your points will be automatically added for you. I get most of my points from free codes found over at Money Saving Mom. 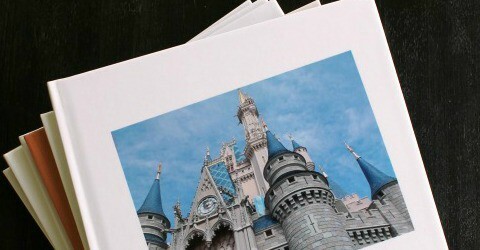 You can cash your points in for prizes like gift cards, free Shutterfly album codes and more. Okay so obviously since I have teenagers I don’t use this program personally, but I have heard so many good things about it I wanted to share it here for those of you with younger children. Points can be found on boxes of Pampers wipes and diapers and entered at the Pampers Rewards website. The program also offers bonus free points from time to time which Money Saving Mom lists. Starbucks is my office away from home. I have many tips and tricks to keep the cost of Starbucks low, but the My Starbucks Rewards program is my favorite way. Here is a post I wrote on how to earn a free book within minutes of signing up for My Reader Rewards which was once called Tyndale Rewards. 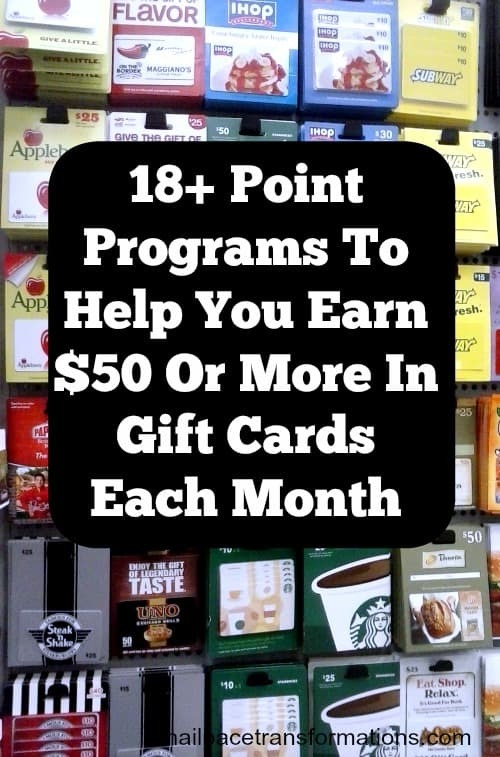 I am always on the lookout for more point earning programs and when I find one that I think is worth the time and effort I will share them here, so be sure to pin this page and refer to it from time to time. Interested in saving money as well as earning it? Check out my Money Saving Tips page with all the links to all my money saving posts.